Diversion: Beware of prosecutors bearing gifts | Jon Katz, P.C. Many potential clients with no prior convictions ask me about diversion for numerous misdemeanor charges running from shoplifting to marijuana possession to soliciting prostitution. My response ordinarily is to beware prosecutors bearing gifts. When a prosecutor and criminal defendant agree to do diversion, the defendant is "diverted" to satisfy certain conditions to get the defendant’s case inactivated or dismissed. A whole host of conditions might be involved for obtaining diversion, which might include, but not be limited to, community service, general good behavior, paying restitution, not picking up new criminal charges, drug or alcohol education, and a series of negative drug tests (I oppose the nation’s rampant drug testing madness). Some potential clients tell me that other lawyers sometimes suggest they save their money and go to court on their own to go into diversion, or that other lawyers have mapped out a plan to enter diversion. I am curious about whether any lawyers make such a suggestion, as opposed to (1) responding to sticker shock at the lawyer’s fee by saying that the defendant always has the option of representing himself or herself (which summonses the maxim that one who goes to court without a lawyer has a fool for a client) or (2) reducing such sticker shock by offering to charge a lower fee if the defendant decides in advance to seek diversion, seeing that less lawyer time might be needed to assist with diversion than to prepare for and go to trial. Here is an example of the risks of going to criminal court without a lawyer, even when diversion seems a shoe-in to the defendant. Recently, I obtained colleague Debra Saltz’s permission (and very much appreciate the permission) to post her useful and practical article (originally appearing in the Maryland Criminal Defense Attorneys Association’s newsletter in 2006) that addresses each Maryland county’s diversion programs, as well as such programs in the District of Columbia. The list is outdated concerning drunk driving cases in the District of Columbia, where the diversion cutoff now ordinarily is a 0.15 blood alcohol test rather than 0.20. In that regard, recently I spoke with a District of Columbia assistant attorney general who prosecutes drunk driving cases all the time and seems very above board, even though I often disagree with her, as is common between me and all prosecutors. About drunk driving diversion, she told me that even where the blood alcohol test is below 0.15, sometimes, depending on the circumstances, diversion still will not be offered to defendants with a blood alcohol test result below 0.15. In the District of Columbia, diversion never seems to be a shoe-in. Here are two examples of the risk of seeking or accepting diversion rather than seeking an outright acquittal or dismissal of one’s case. First, in Maryland and Virginia District Court — which courts handle misdemeanors and designated lower-level felonies — settlement and plea offers often do not begin in earnest until the trial date. Consequently, and ordinarily, if the prosecutor does not have available the necessary witnesses and evidence (learn how to know whether to rely on a prosecutor’s word on the availability of witnesses and evidence) on the trial date to prove the criminal charges, no reason ordinarily exists to accept diversion or any other disposition offer (other than an outright dismissal or inactivation of the case) absent a real risk that the prosecutor will obtain a postponement at which the witnesses and evidence likely will be present or a real risk that the necessary witnesses and evidence will come walking through the door, after all, on the trial date. Second, even where a prosecutor optimistically packages an offered disposition as diversion, numerous unforseen direct and collateral risks can still be involved. For instance, diversion often means keeping the prosecution merely in a suspended pending status until the prosecutor or court agree that diversion has been successfully completed. Having a pending criminal charge might delay or harm certain immigration scenarios (e.g., delays in processing or granting immigration applications or delays, at the very least, being re-admitted to the United States when a non-United States citizen has a pending criminal charge). Those maintaining or seeking security clearances should also check the effect of diversion on their desired security clearance status or applications. Worse, sometimes a defendant thinks s/he merely is entering "diversion" when the disposition will be read by some or many as a finding of guilt or brings greater risk of a guilty finding if the defendant later is deemed to have failed the conditions for obtaining such a disposition. For instance, in Virginia, accepting the so-called first-time offender program for marijuana possession will be treated as a guilty finding by the immigration authorities, and the defendant’s Virginia driver’s license (and Virginia driving privileges for out-of-state drivers) will be suspended for six months whereby the defendant will need to petition the court for permission to drive with narrowly-defined restricted driving privileges. Sometimes, I suggest that a client do his or her own diversion program, in the hopes of obtaining significant relief from the prosecutor or judge. For instance, on my advice before the trial date, a Virginia marijuana possession defendant who is not a citizen entered a drug education program together with providing weekly negative drug tests. His immigration status would have been severely harmed with a guilty finding or entry into Virginia’s so-called first offender drug possession program. After going back and forth several times with the prosecutor, I convinced her that our mutual goals had been overlapped by my client’s drug eduction and urine testing efforts. We obtained a mutual continuance of the trial date for my client to complete his drug education program (which he did) and then to dismiss the case. Sometimes a criminal defense lawyer is wise to seek diversion, and sometimes must do a lot of convincing to obtain a diversion agreement from the prosecutor. In an instance where the prosecutor ordinarily would not have agreed to a dismissal for community service (where my client had a prior jailable conviction), I successfully upped the ante by offering for my client to complete one hundred hours of community service, where the norm was not to require more than twenty-five hours. In an instance of alleged employee theft in a county that does not offer diversion for employee theft, my client followed my advice, pretrial, to do substantial community service and to have cash available to pay restitution for the allegedly stolen goods. As anticipated, the prosecutor flat-out refused diversion. However, in talking with the complainant retailer’s loss prevention manager witness, I learned that he had pressing business elsewhere. 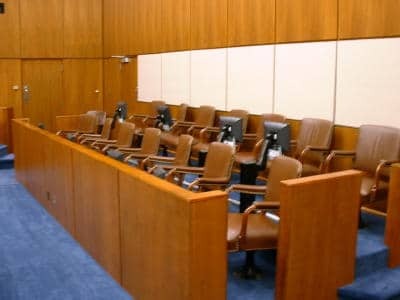 With the loss prevention manager’s agreement, I tried to convince the prosecutor to accommodate the witness’s schedule, seeing that the courtroom was so packed that a trial likely would take a few hours to commence. My client’s completed community service, cash in hand, or both, helped tip the scales in our favor. The prosecutor refused to call the disposition one of diversion, but instead said she was accommodating the prosecution witness; no matter what it was called, we walked out of court with a dismissal. Moving across the Potomac to Virginia, prosecutors in the Old Dominion (although much has changed in Virginia for the better, it still remains a death penalty capital, the former cradle of the Confederacy, and a longtime perpetuator of Jim Crow) will sometimes offer a disposition of a stipulation to sufficient facts or a suspended imposition of sentence, and focus to the defendant about getting the case dismissed for successful completion of the conditions for such dispositions. However, immigration authorities consider a suspended imposition of sentence to be a guilty disposition. Also, a finding of facts sufficient for a guilty finding sometimes might appear on the record as an admission or finding of guilt, and, even if not, might risk the immigration authorities seeing it as a guilty disposition. Moreover, if a defendant is deemed not to have fulfilled the conditions for the foregoing dispositions, the defendant will be sentenced without a trial, and a guilty verdict will be on the defendant’s permanent record, unless the defendant successfully appeals the conviction. Beyond the foregoing discussion, sometimes defendants will have only one opportunity in a lifetime to complete a diversion program. This is another reason to seek an outright dismissal of charges rather than first running to the arms of a diversion disposition. Nothing guarantees that a defendant will not in the future be charged with a new crime, whether or not the prosecution involves the wrong suspect or a wrongheaded law (e.g., the marijuana prohibition laws). Obtaining quality legal representation can pose a critical financial burden for a criminal defendant who does not qualify for public defender or court-appointed attorney assistance. At the same time, however, to go into court alone against an experienced prosecutor — who sometimes double- and triple- teams defense lawyers and defendants with police and other prosecutors — risks too much to lose, even if diversion might be available. Jon Katz.